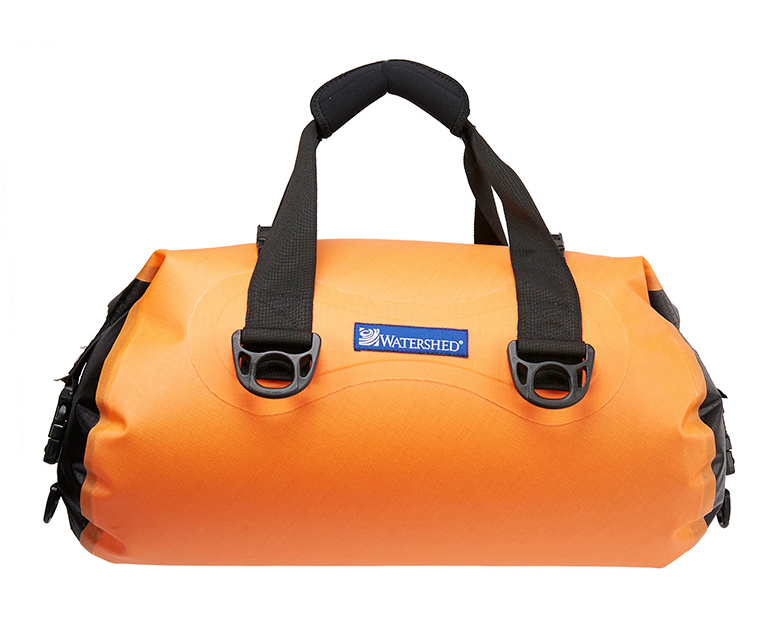 The Chattooga Drybag is a top loading duffel sealed with a ZipDry waterproof closure. 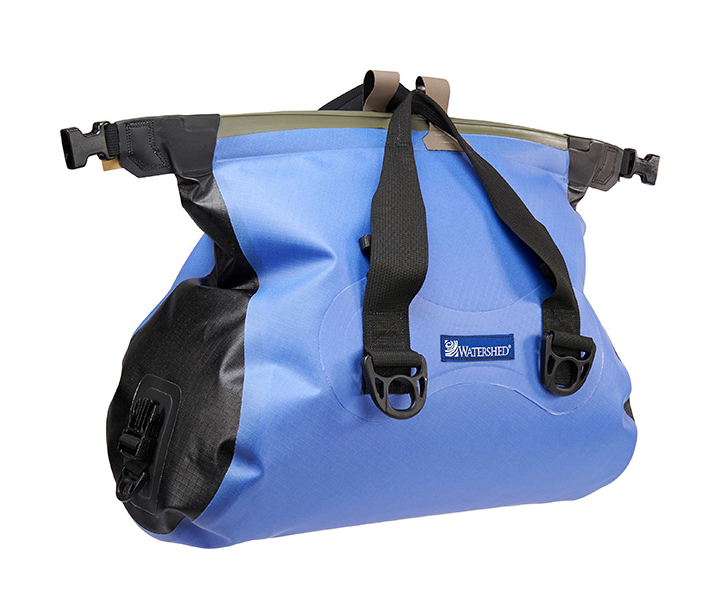 Created and patented by Watershed, the closure resembles a large zip lock seal and is both air and watertight. The bag is made of backpack-grade nylon coated with sheets of polyurethane film making it incredibly durable. Upon completion each and every bag is inspected to ensure that it is 100% leak proof. The Chattooga comes with a pair of rugged yet comfortable, padded handles, numerous hard lash points and various compressions straps. The bag weighs in at less than 2 lbs. and measures 12”H x 20”L x 10”W, with a capacity of 1800 cubic inches (30 liters). Optional accessories include a shoulder strap, a padded liner and a padded divider set. As an underwater photographer, I spend a lot of time on boats and like to bring along my topside camera for between dives. 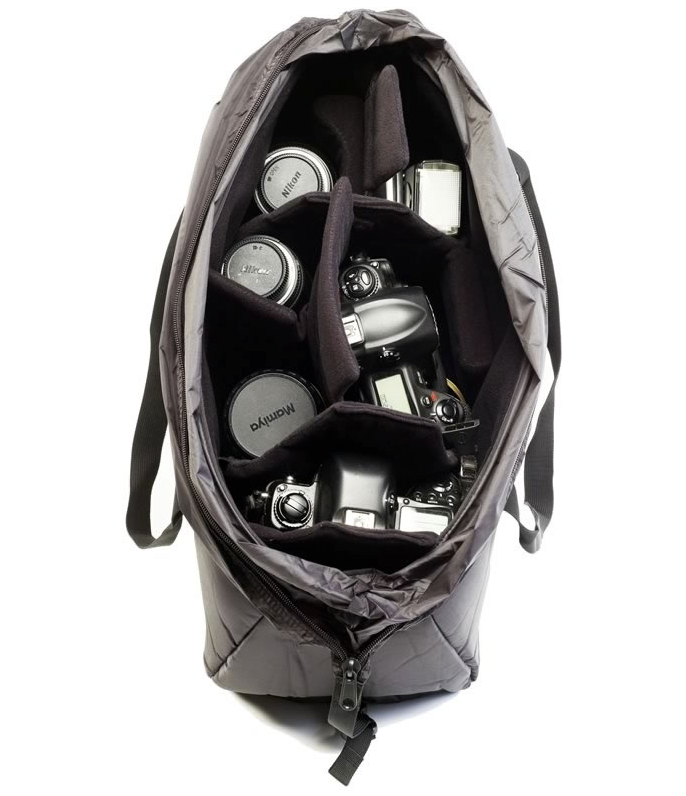 However, I have never found the perfect bag to keep the camera protected and dry. The Chattooga performed beautifully on both counts. The large 17” opening at the top of the bag made it easy to get gear in and out, while the padded liner gave me piece of mind when the bag was placed along the floorboards of a small skiff. For different shooting scenarios, the padded dividers allowed me to travel with multiple lenses, plus a flash. The top closure was simple to operate and sealed airtight. While no bag is perfect for every user, I found the Chattooga worked incredibly well and my gear came home safe and dry. For more information on the Chattooga DryBag and the rest of the Watershed line please visit the link below.